We savored our morning coffee early in Oulu. The distance from Helsinki to Oulu is 607 kilometers / 377 miles. In November, it was dark outside, because dawn will come about at nine of o’clock. 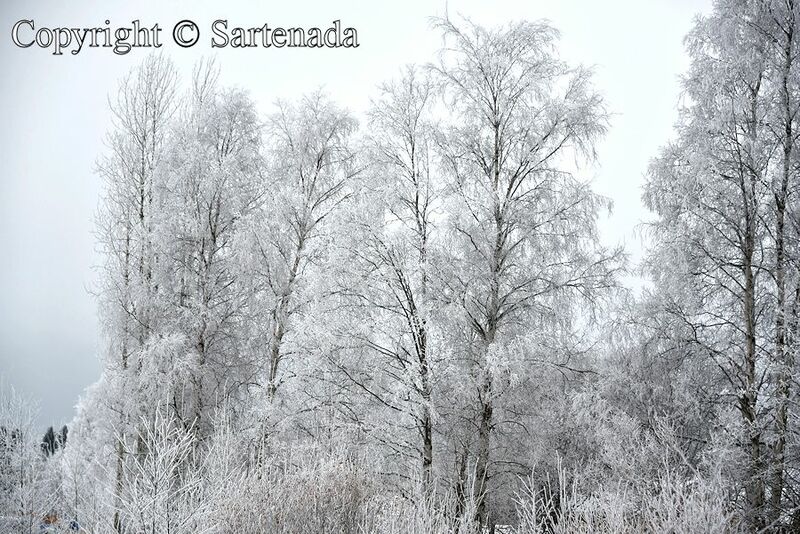 At break of day, we saw that Mother Nature had painted trees to silver white. The view was amazing and surprising, because day before there was fog. No sunshine, thus it was cloudy which meant that sun should not warm trees quickly and the beautiful landscape should last at least few hours. So, it happened, because next morning the same situation continued. My set of photos consists of 24 photos of which, last four photos shot my wife by her smartphone at sunrise, when all the nature had a golden appearance. Tomábamos nuestro café de la mañana temprano en Oulu. La distancia desde Helsinki hasta Oulu es de 607 kilómetros / 377 millas. En noviembre, era de noche, porque el amanecer vendrá acerca a las nueve de la mañana. Al amanecer, vimos que la Madre Naturaleza había pintado árboles blancos plateados. La vista era increíble y sorprendente, porque el día antes había niebla. No fue soleado, por lo que estaba nublado lo que significaba que el sol no debería calentar los árboles rápidamente y el hermoso paisaje debería durar al menos pocas horas. Así sucedió, porque la mañana siguiente la misma situación continuó. Mi conjunto de fotos consta de 24 fotos de las cuales, las últimas cuatro fotos sacaba por mi esposa por su teléfono inteligente al amanecer, cuando toda la naturaleza tenía una apariencia dorada. Nous avons savouré notre café du matin tôt le matin à Oulu. La distance entre Helsinki et Oulu est de607 kilomètres / 377 miles. En Novembre, il faisait noir, parce que l’aube arrivera à neuf heures. A l’aube, nous avons vu que Mère Nature avait peint les arbres blancs d’argent. La vue était incroyable et surprenant, parce que la veille il y avait du brouillard. Aucun soleil, donc il était nuageux ce qui signifiait que le soleil ne devrait pas réchauffer les arbres rapidement et le beau paysage devrait durer au moins quelques heures. C’est arrivé parce que le lendemain matin, la même situation a continué. Mon ensemble de photos contient 24 images dont, les quatre dernières photos sont tirées par ma femme par son téléphone intelligent à l’aube, quand toute la nature avait un aspect doré. Nós saboreámos o nosso café da manhã de manhâ cedo em Oulu. A distância entre Oulu e Helsínquia é 607 quilômetros / 377 milhas. Em novembro, estava escuro, porque a aurora chegará às nove. Ao amanhecer, vimos que a Mãe Natureza tinha pintado árvores de brancas prateadas. A vista foi incrível e surpreendente, porque no dia anterior havia o nevoeiro. Sem sol, por isso estava nublado, o que significava que o sol não deve aquecer as árvores rapidamente e as belas paisagens deve durar pelo menos algumas horas. Isso aconteceu porque na manhã seguinte, a mesma situação continuou. Meu conjunto de imagens contém 24 imagens, incluindo os últimos quatro imagens são tomadas por minha esposa por seu telefone inteligente ao amanhecer, quando toda a natureza tinha uma aparência dourada. Totally magical. I can feel the cold but I love the view even more. 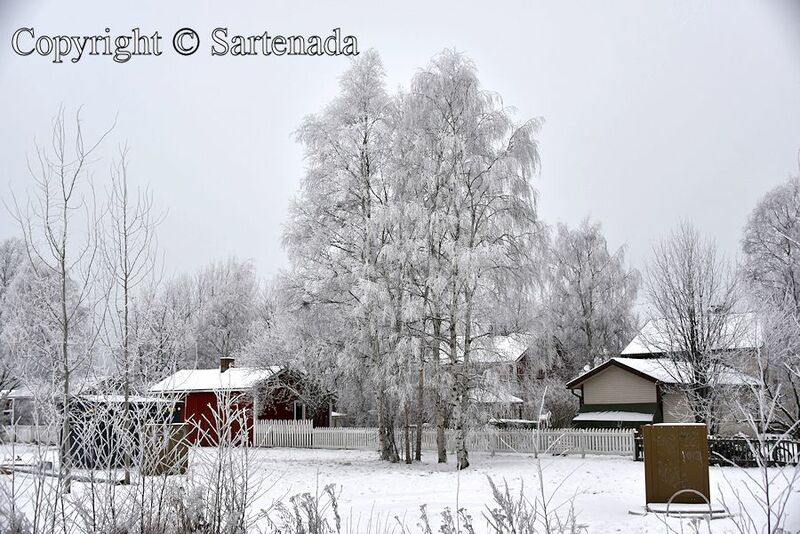 How nice to read that You loved my “magical” photos presenting my cold country. Yes, cold and windy. Cold itself is “nothing”, but the wind strengthens the feel of the cold. Thank You commenting. Entre argent et or, mon coeur balance… mais ce rayon de soleil est quand-même le bienvenue . Merci pour la remarque je saurai la retenir. Je suis très heureux que vous ayez aimé mes photos enneigées. Beautiful photos Matti, thank you for brightening up my morning! 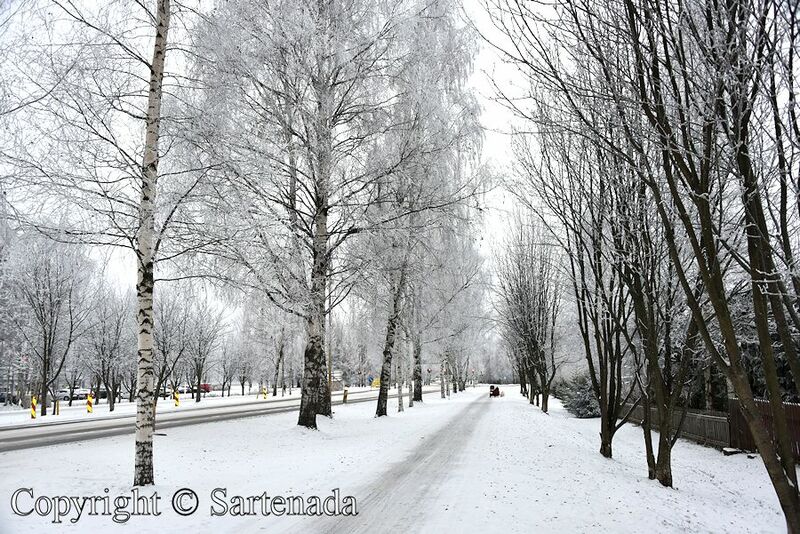 We spent one week in Oulu and this crowned our visit there. Thank You. How whimsical and beautiful scenery!! I can see similar scenery in my area, but your scenery is more fantasic than mine. 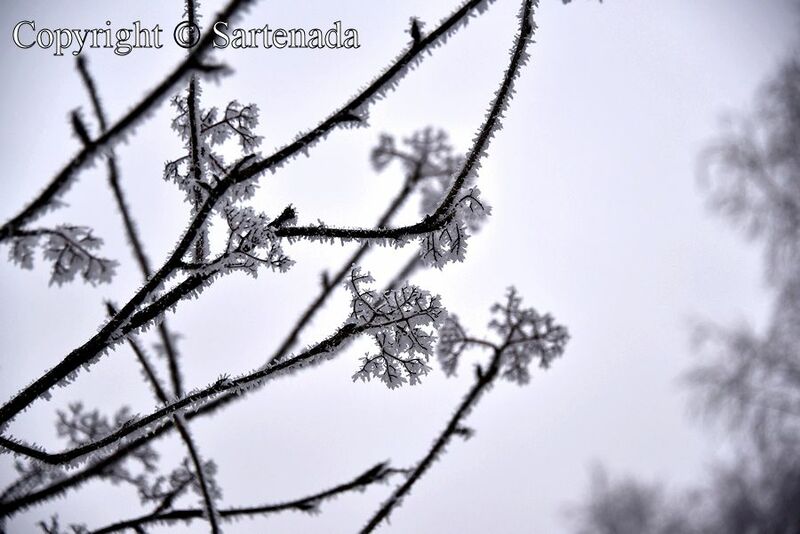 I don’t like cold winter but like your winter photoes so much! Thank You for Your kind comment. 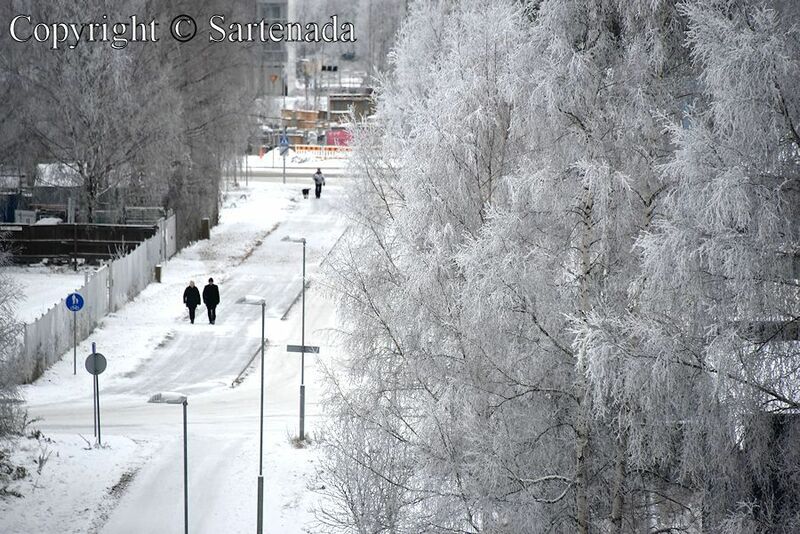 Oulu is beautiful town, but many tourists do not know it. We were lucky when visiting there when trees were Silver white and golden next day. Both the rime on trees and the colored leaves are really beautiful. I enjoyed beautiful scenery. Thank you. 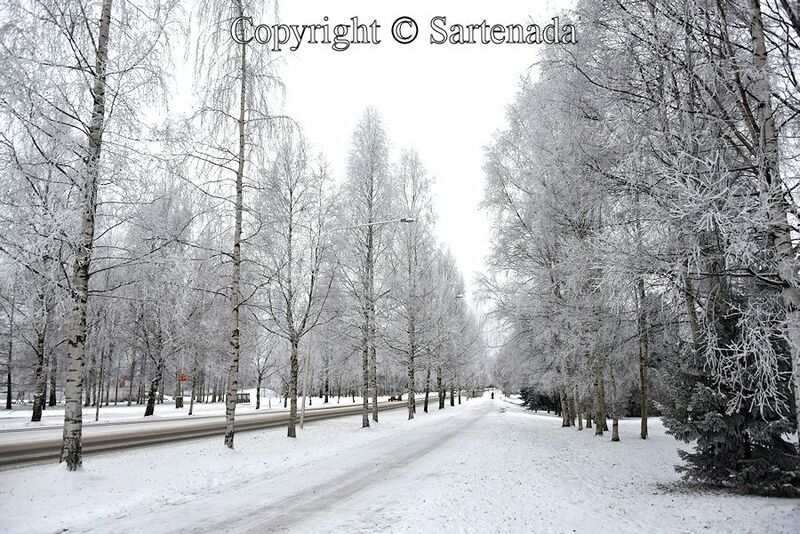 I am glad that You loved snowy Finland photos from Oulu. Thank you commenting. Mother Nature is the best artist. Thank You for Your praising comment. So beautiful and completely different to the landscape here in Australia. I love the golden photos. Oh yes, completely different. Snow is beautiful especially in sunshine. I glad that You loved my photos. Thank You. Very beautiful! 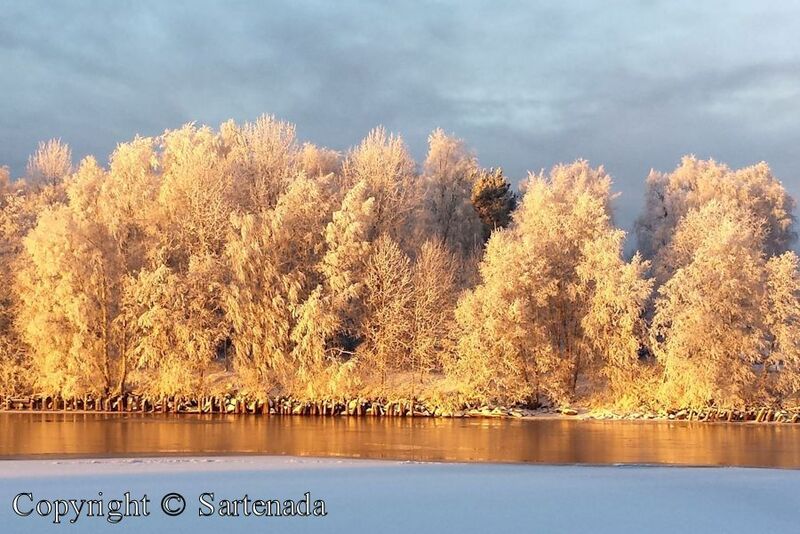 The golden trees are just magical – like straight out of a fairy tale. 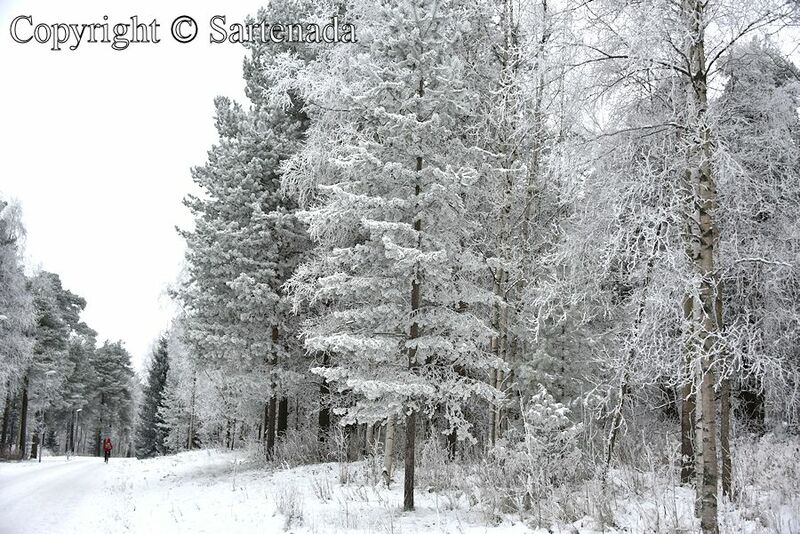 For that kind of sight here in Poland , I’ll have to go to some forest outside the city.. Being at right time at right place by chance helped us. Thank You. Nuo kultaiset puut ovat kauniita, taianomaisia! Kiitokset kauniista kommentista. Olen iloinen, että pidit kuvistani. First day was indeed cold and windy, but the day much warmer. Golden tress vanished slowly when sun warmed trees. Thank You for Your kind comment. 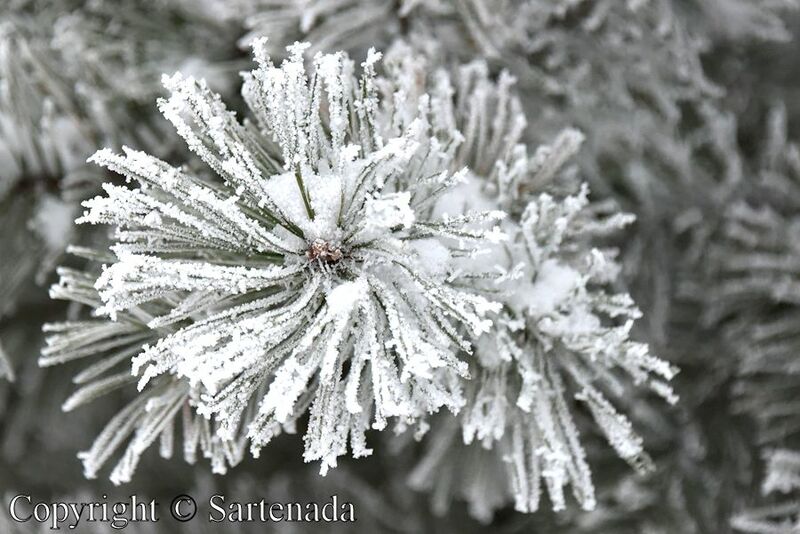 I am glad that You loved my snowy and wintry photos. Thank You. Both you and your wife got some gorgeous photos. I’m not ready for that white stuff around here, but I really enjoyed your beautiful pictures. Thank You commenting my winter post. Yes, winter will come later or sooner. How nice that You loved my photos. It was, indeed, but good winter clothes kept us warm. Thank You. What excellent photos from both of you! Having lived in Alaska for most of my adult life, I can appreciate the crispness of those beautiful mornings. Oh my winter has come to you! The lighting of the final section is magical as if a fairy is casting golden rays upon the frost. Beautiful. Yes, winter arrived indeed. 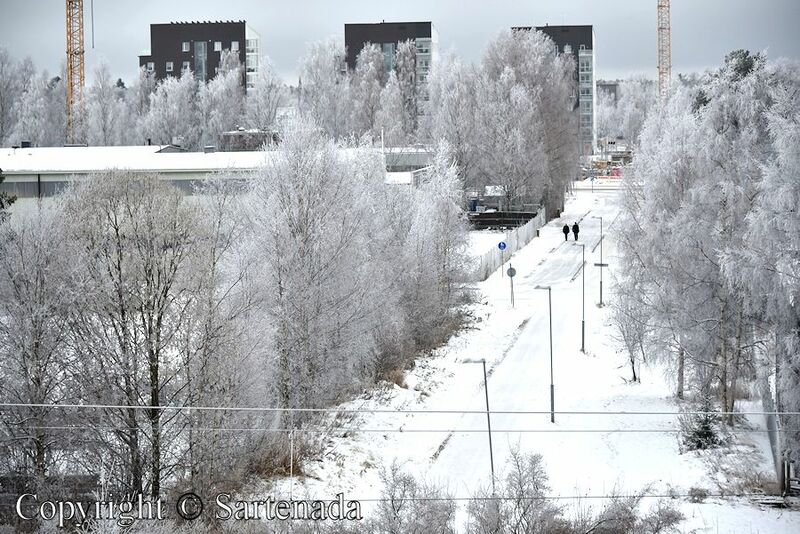 Couple of weeks ago Helsinki (in the south) struggled with cold and snow in Oulu (600 km north of Helsinki), which You saw in my photos, came in one night and it was a little. I will tell to my wife that You loved her photos very much. Thank You for Your praising comment. 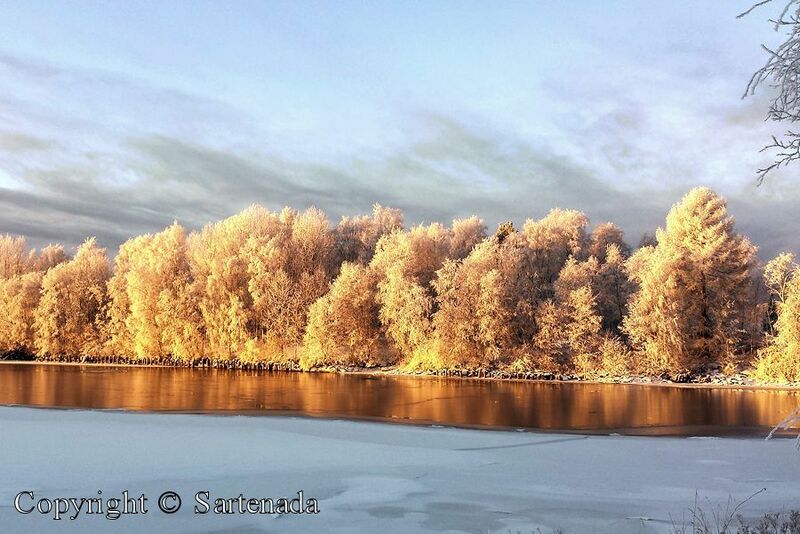 The trees and the frost and the snow are all beautiful! So far we haven’t had that much of winter yet. I’m looking forward to it though. I am glad that You loved my post. Thank You. I am sure that winter will arrive inevitably to Your region also. 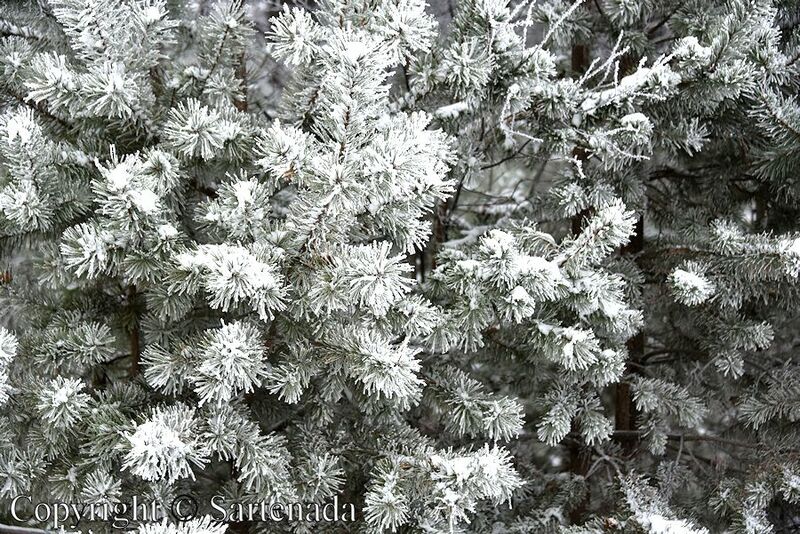 So beautiful the white snow and all the rime on the trees! I particularly admire the close ups. Such a filigree character! Your shots are great, Matti – and simply incredible what the sun is doing with the trees at the end of your photo set, when you added the four photos that Anja has taken. Gorgeous! 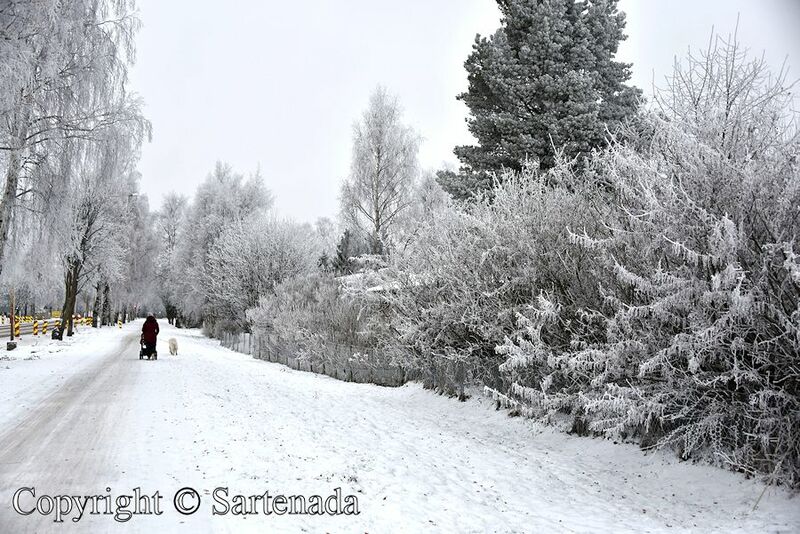 Have a nice evening and thanks for this wonderful winter post. Thank You Michèle. I am glad that You loved also my close ups and especially my wife’s photos. She has been very happy when reading that people loved her photos. I am happy for her. 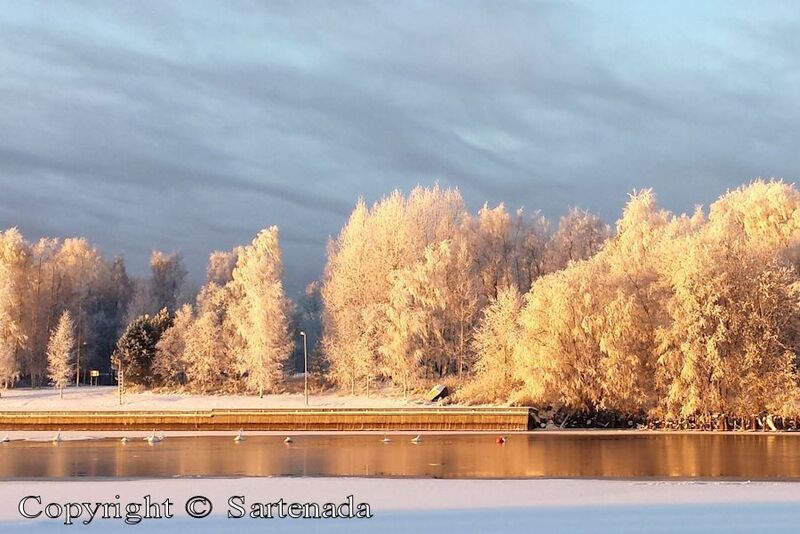 Love the atmosphere created by these white trees…Such a “CHRISTMAS” view! Yes indeed, atmosphere is correct word, because it was magical for us also. Thank You for Your kind comment. la lumière y est splendide. Félicitations. Mon coeur chante en lisant votre commentaire gentil. Merci beaucoup. Je te souhaite une agréable journée! Matti. You are right. Sometime Mother Nature offers pleasant surprises. Thank You commenting. Qué maravillosa serie de fotos. Las últimas, hechas por su mujer, “árboles de oro” son increíblemente bellas. Muchas gracias a los dos por compartir paisajes y vivencias tan bonitas e interesantes. Tus palabras tan amables me calientan mi Corazon, pero lo más mi mujercita. Ella va a ser muy feliz al leer su comentario. Muchas Gracias Isabel. Beautiful photos! Makes me miss winter (just a little)! I am glad that You left Your kind comment here. Snow will come back, I hope it also. Thank You. 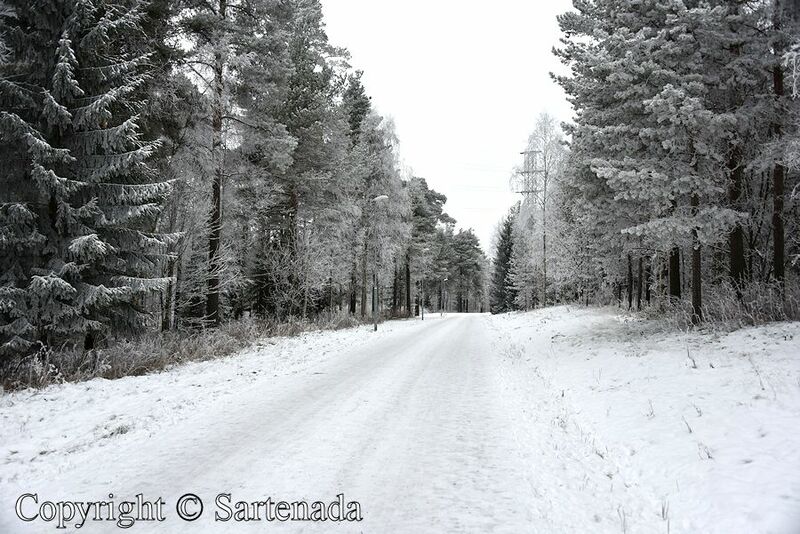 Glad that You loved my winter photos. Thank You leaving Your kind comment. 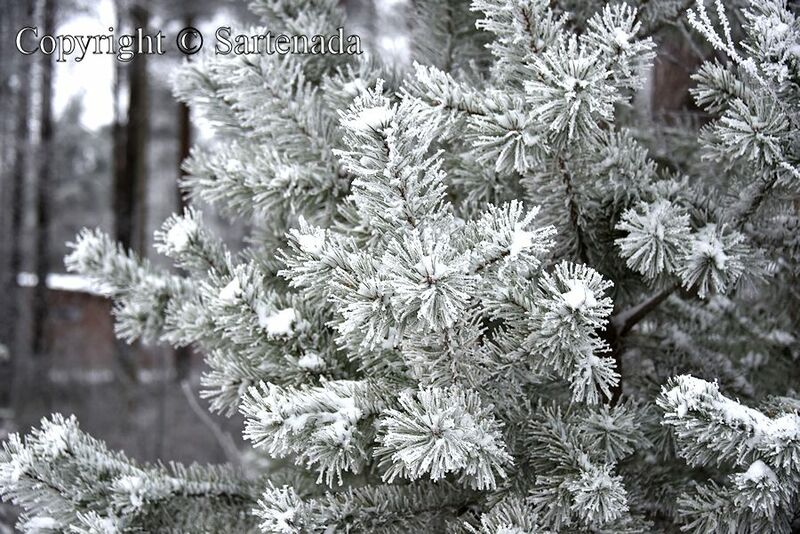 Here in North Dakota, USA, when the trees are white, it is called” hoar frost”. So pretty when they are like that. 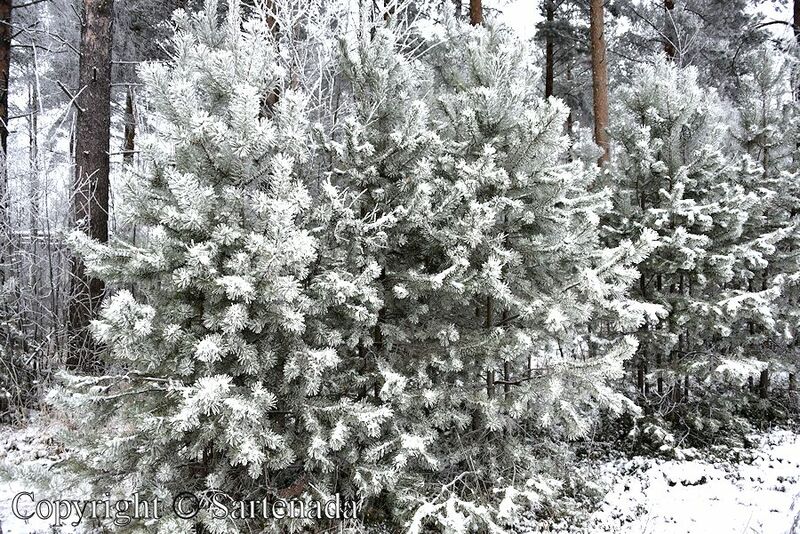 In Finland, we call it also hoar frost and that is why I tagged it. 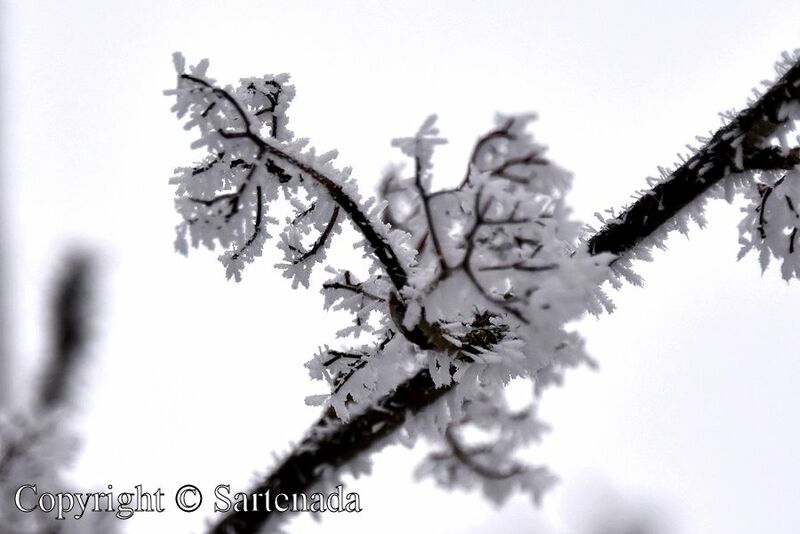 There are difference between frost and hoar frost. 🙂 Thank you commenting and loving my and my wife’s photos. Que lugar lindo! Fantástico ! Mágico! Tus palabras me calientan mi Corazon. Muchas Gracias. Je vous remercie vivement pour votre si gentil commentaire. Je suis heureux que vous aimiez mon poste. How very beautiful. How nice as well that you had the luck to be able to shoot them as both golden and white. Wow! How lucky you were to see this and capture it for us! I love the closeup photos and the golden ones–magical! Yes, we were lucky indeed. 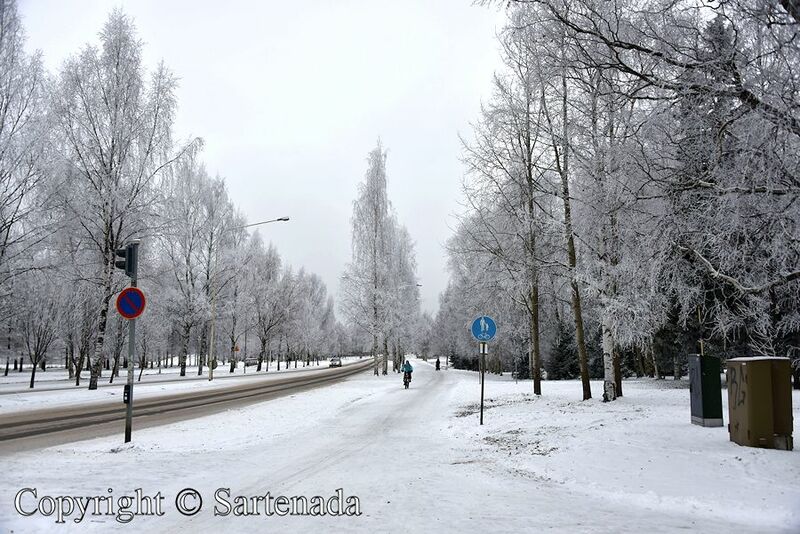 We stayed one week in Oulu and two days Mother Nature showed it beautiful faces to us my readers. 🙂 Thank You. 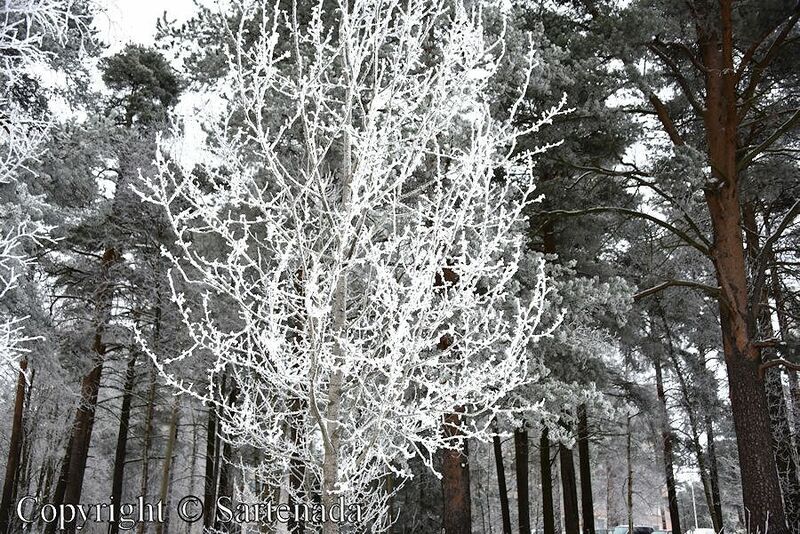 Trees covered with hoar frost are fantastic! Thank You for your praising comment. I am very glad that You loved my white world. Thank You. Concerning Portuguese, we were lucky, when living in a small town called Mikkeli, because there were Portuguese courses hold by a charming Brazilian Lady. She was very inspiring and the best language teacher, which we have ever had. I always try to do my best with translations, because she has ordered my blog. I look white flower, and golden fire. Mother nature set free our mind and body…maybe. Thank You for beautiful photos^^. I am happy that You left Your kind comment here and loved our photos. ありがとうございます. 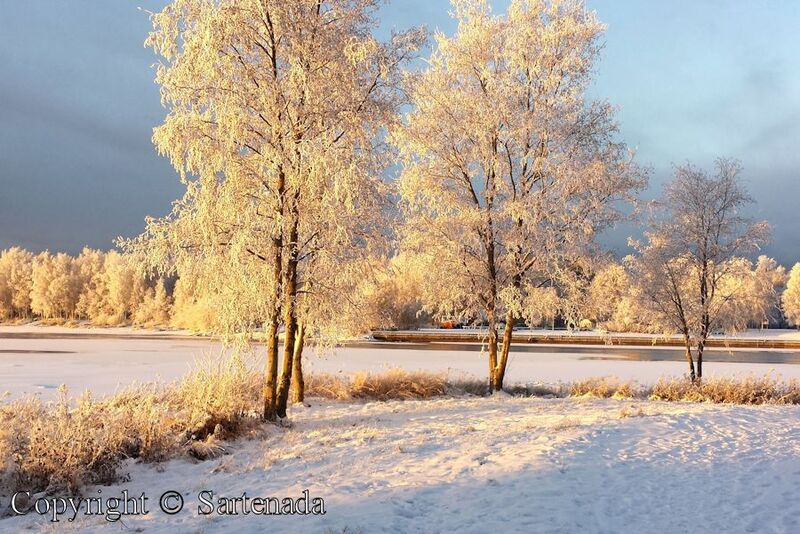 Stunning beauty you captured in your photos Matti! Nature can be very generous with her beauty. Give my compliments to your good wife for the golden photographs. pun N-10-did: “n’ice” ! 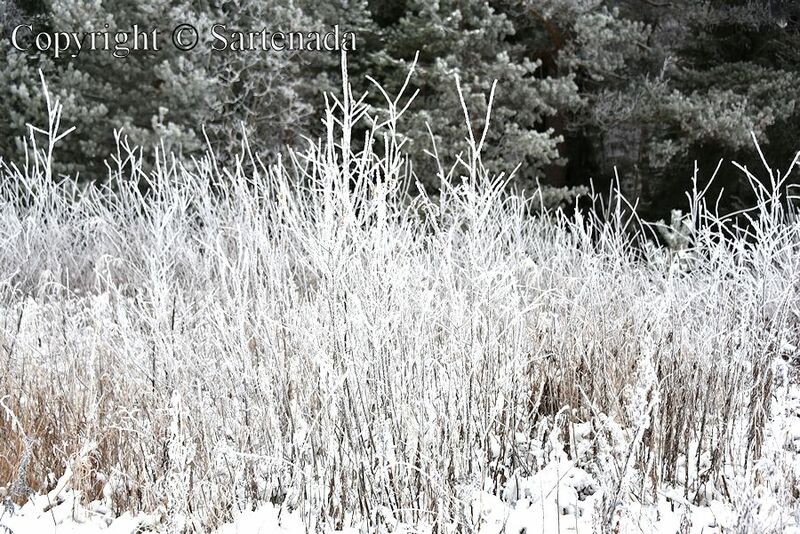 I think we’d (people in u.s.a.) would call that “hoar-frost” ? You are right. 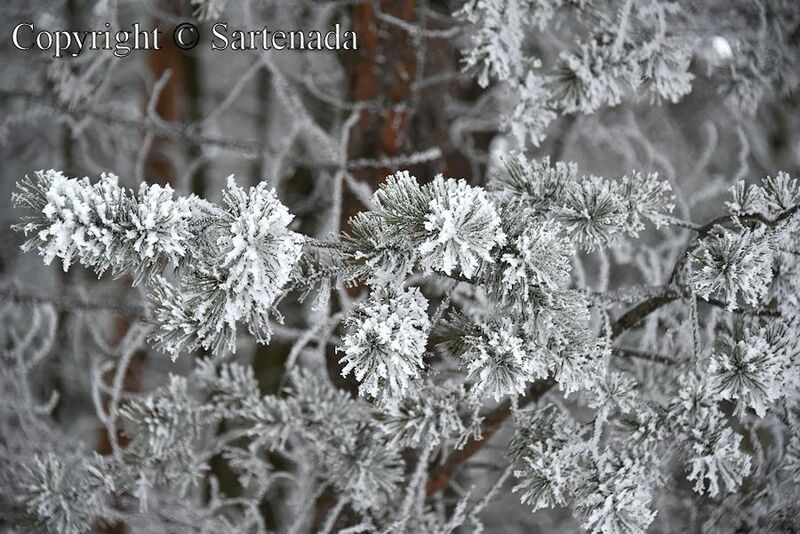 In our own language we talk also about hoar frost. Thank You commenting and liking my post. I just went on trip up North here in Japan. 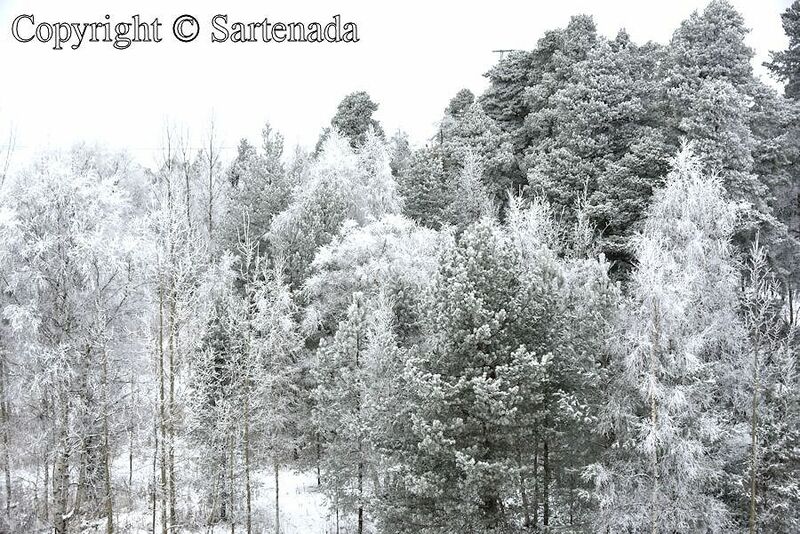 The views of snow covering the trees is just as wonderful. But unlike yours, I was seeing them from far afar. Wonderful, wonderful well-photographed scenery. Thank You leaving Your praising comment. Muuuuy bonitos los árboles dorados. La espectacularidad de la naturaleza es impresionante. Muchas gracias por tus palabras, me dan mucho ánimo. Thank You praising my photos.